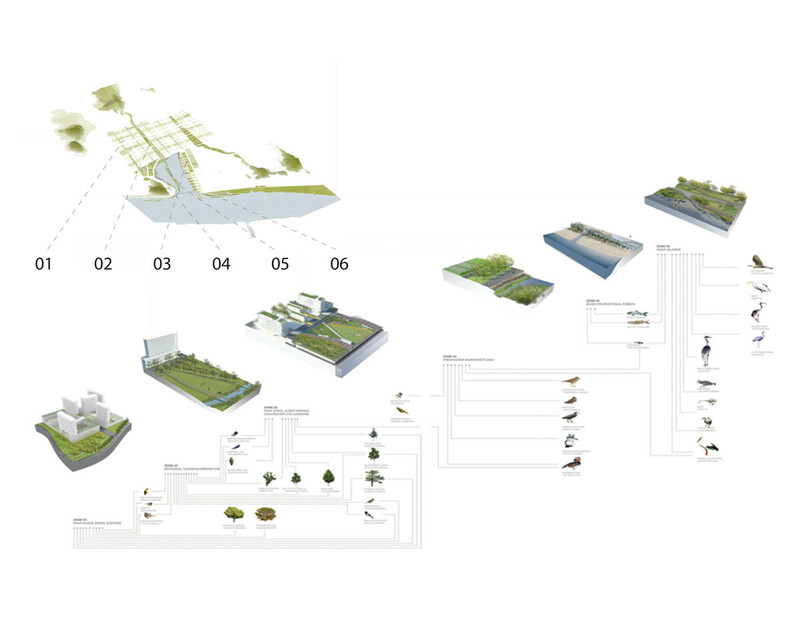 The project sets forth an urban operation that relies on the strategic rescaling of infrastructure and the creation of diverse botanical tissues, in order to re-qualify the site into an ecologically sound recreational landscape. 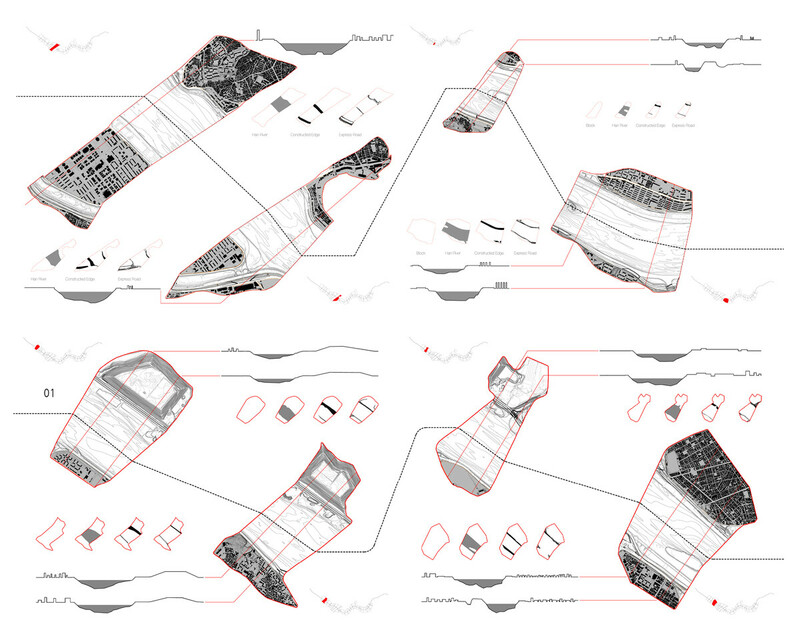 Furthermore, the broader infrastructural moves, set the stage for the creation of a new high density mixed-use district adjacent to the water. 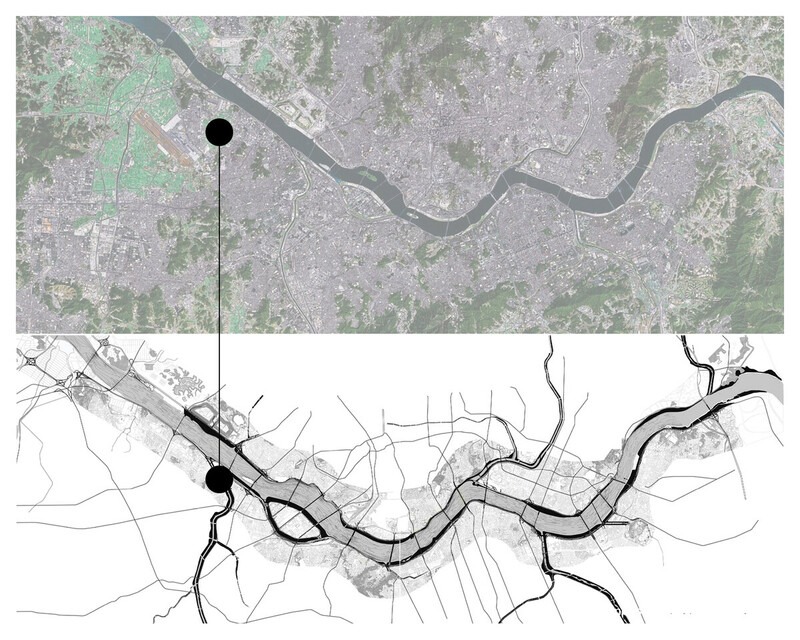 The project starts by examining the current state of the Han River, and the diverse infrastructures that have reformatted the river from expanded floodplain into a hard river edge, serving as a point of departure for the project’s general concept. 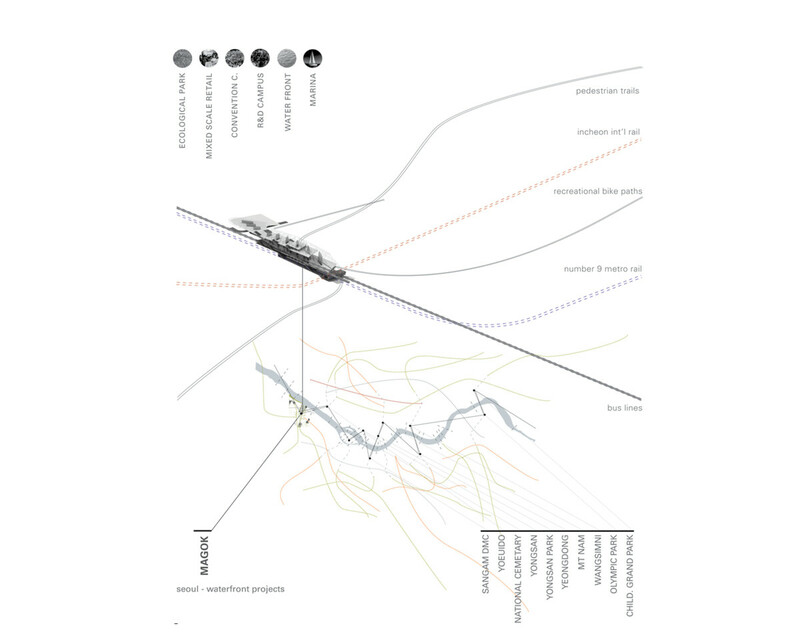 While the river has been conceived as a continuous line, transportation infrastructure has fractured it into a set of archipelagos that contain the river’s edge. 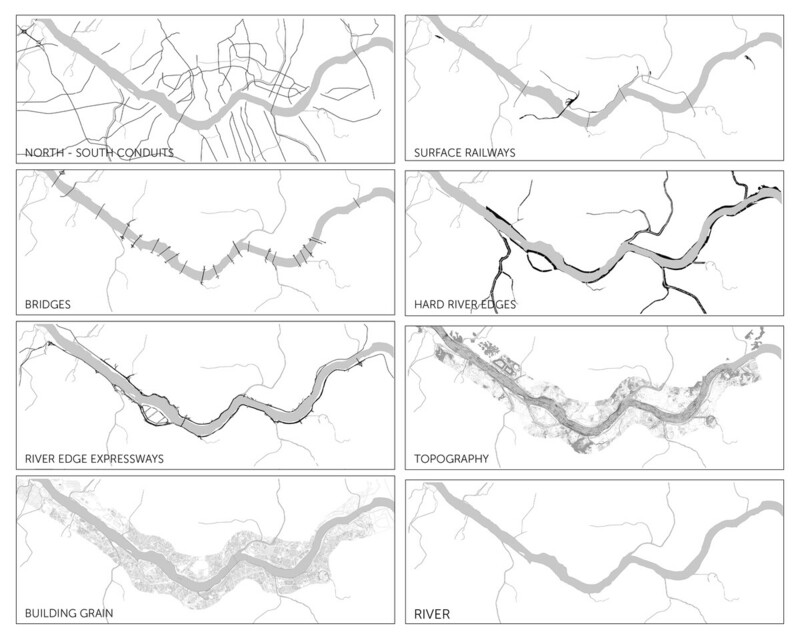 The research discovered 27 urban fragments that make up the backbone of the river. 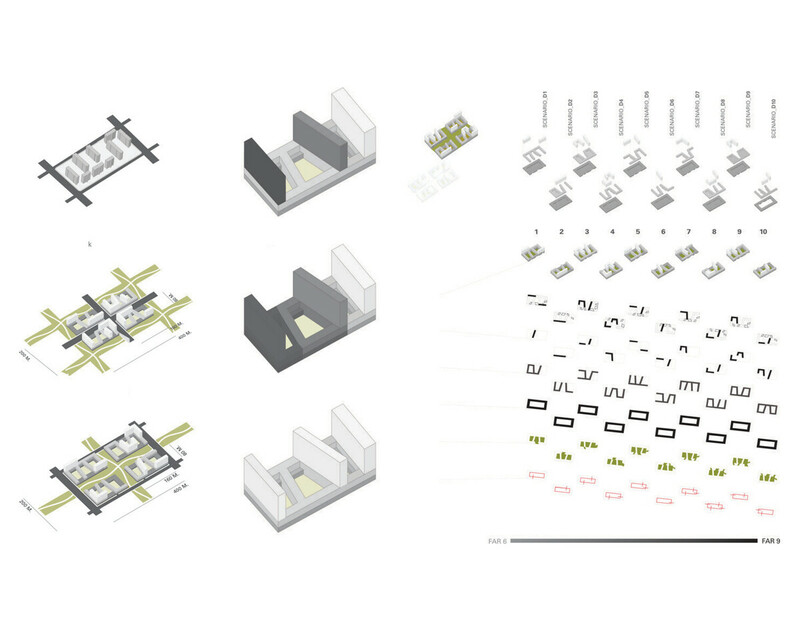 As a first urban operation, the project proposes the re-organization of the existing mobility infrastructures that crisscross the site, in order to establish a new inter-modal hub for the area. 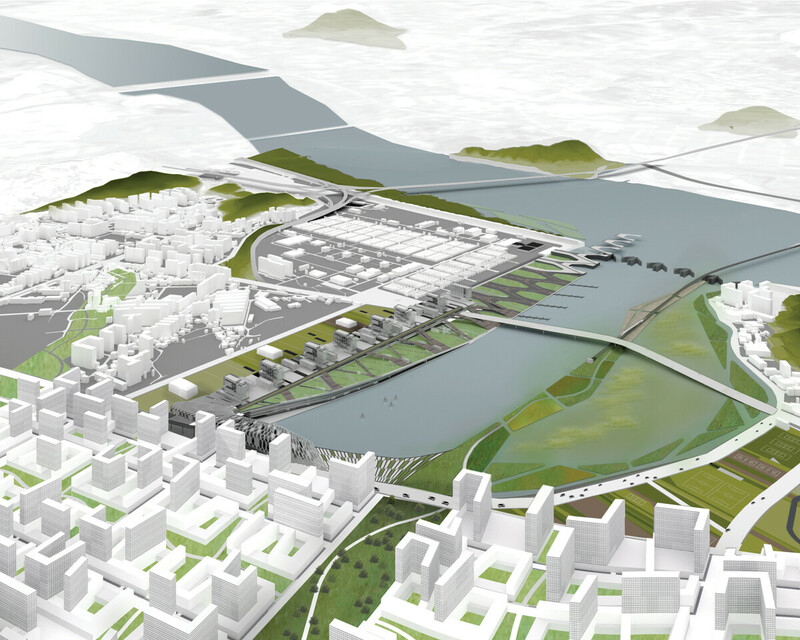 The proposed hub brings a collection of modalities and speeds from regional rail to bicycles. 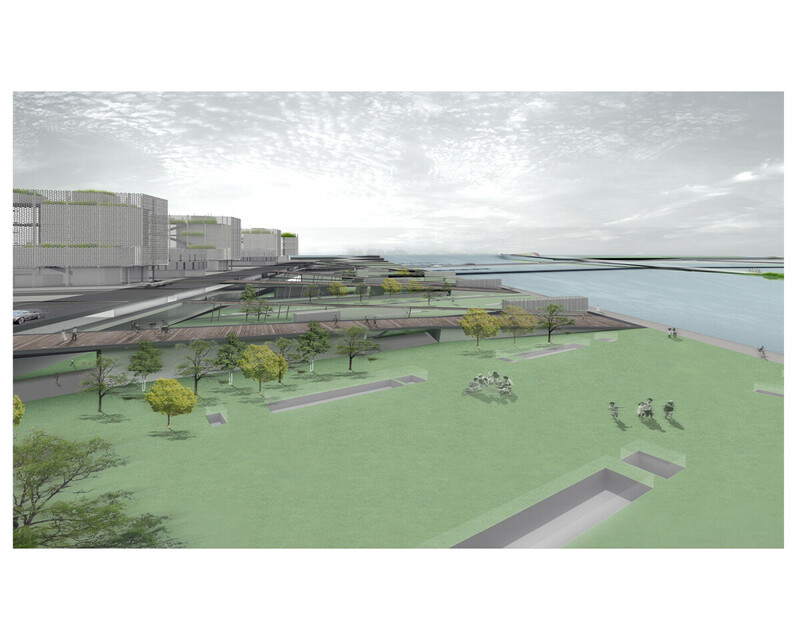 The reorganization of mobility networks also allows for the creation of a new recreational lagoon. The soil from the lagoon is used to create an artificial landscape above the convention center placed to the west of the reservoir. 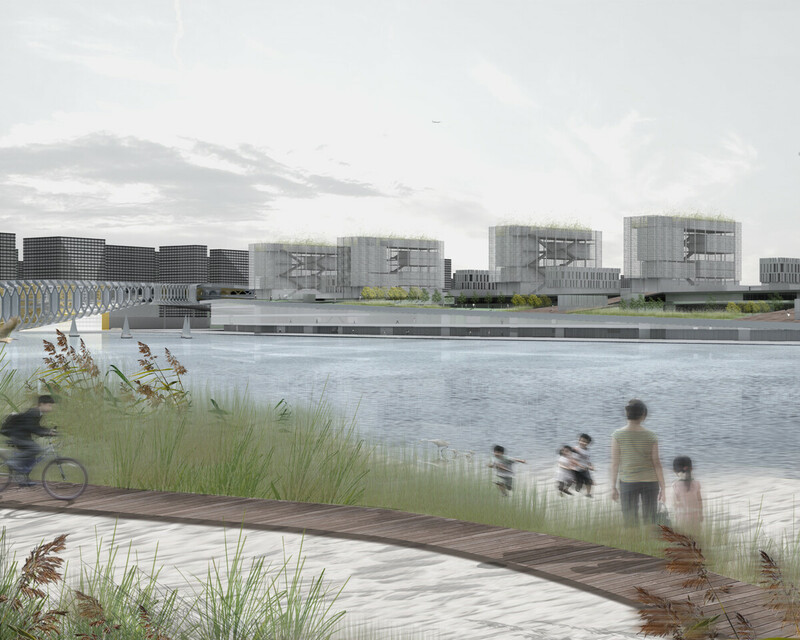 A research and development campus occupies the space above the convention center, creating a new multi-layered landscape that links directly to the river bank. 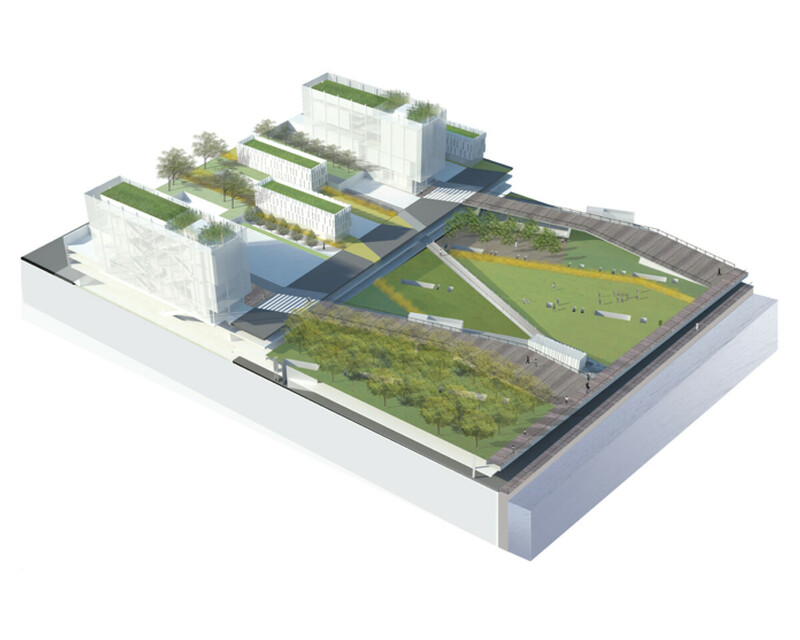 The new campus and inter-modal hub serve as the anchor for a new mixed use district on the southern edge of the site. 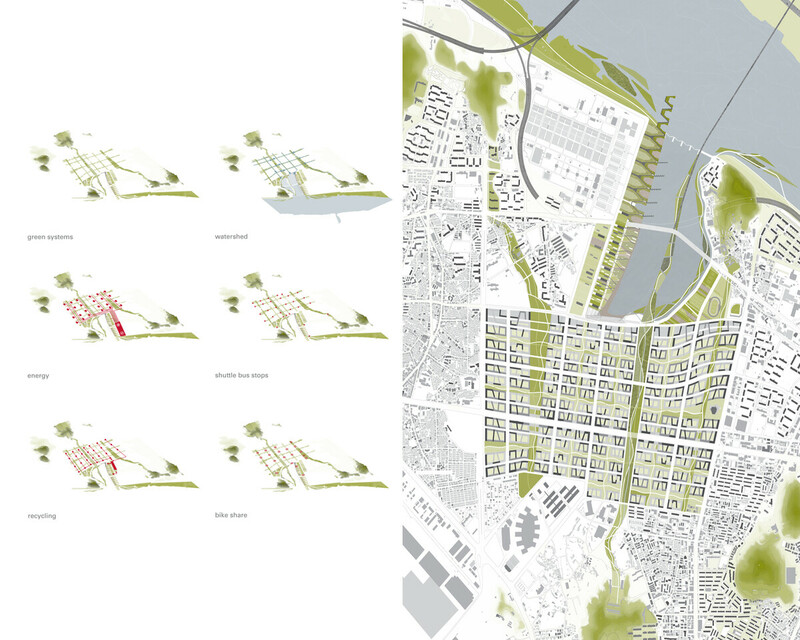 A careful calibration of topography along with the introduction of a new urban grid create a botanical tissue that serves as the main recreation amenity and a storm water management strategy. 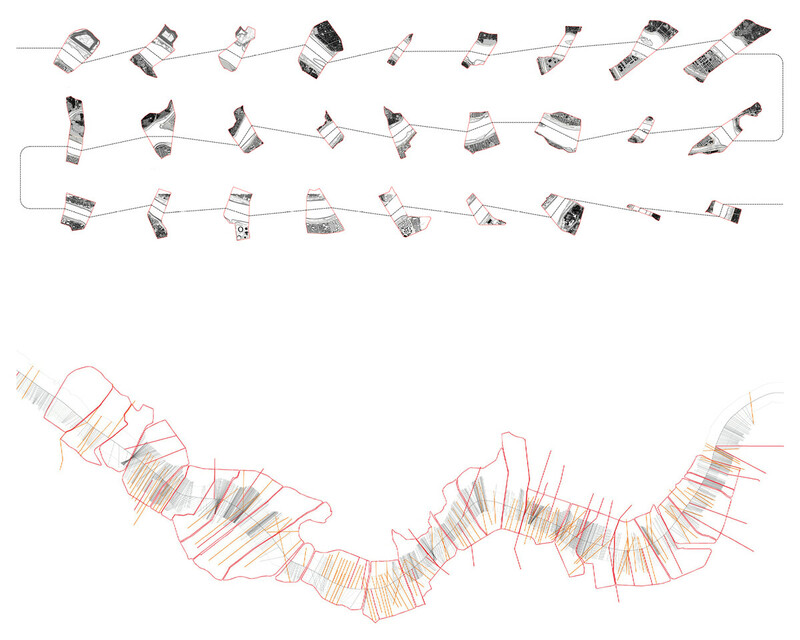 A re-interpretation of the traditional Seoul maxi-block as a double grid system defines the block morphology for the new district.